Sound resistant underlayment for use under all laminate and engineered hardwood floating floors. 100 sq. ft. per roll. In the growing market of laminate and engineered hardwood floating floors, the biggest concerns are noise/sound and water/mold damage. 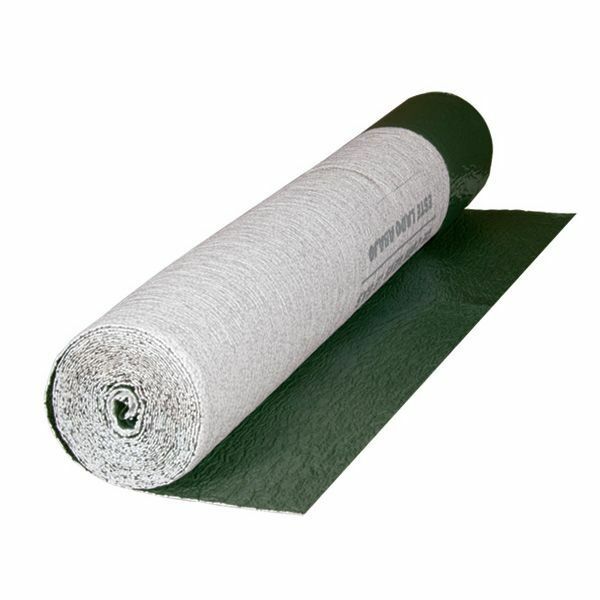 Roberts Underlayments are engineered to meet the highest standards in sound reduction, moisture protection, comfort and even minor sub-floor corrections. For concrete slabs and wood subfloors (on grade or above grade). Creates a pocket of constantly circulating air which inhibits mold growth. First Step…The first step to a healthy floor! Weight per roll: 3 lbs. 10 oz.